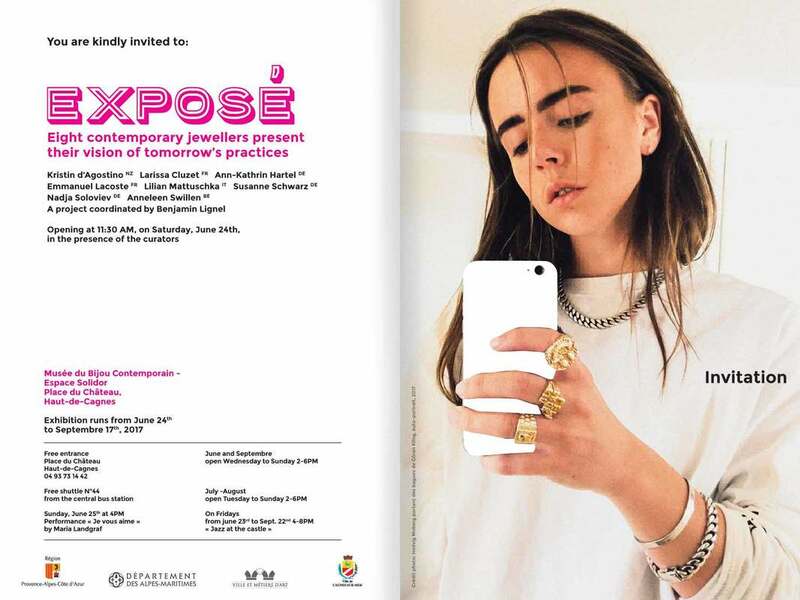 In this exposition the notion of contemporary jewellery was to being examined by 6 artists / performers. Very intrigued by the concept and ancient human need for ornament in general and using it's freer notion of an “ideal” as a vehicle for current socio-political observations of Athens and Europe as a whole, those were expressed artistically and “ornamentally” with the (over)use of rich visual symbolism in a 20min film. Games - Hopscotch: Never really advancing much here… staying at small numbers, repetition, repetition, repetition. ​​​Big Lies reference taken from Zygmunt Bauman’s book “strangers at our door” , from 2016. Closed shops + queuing at ATMs - still. Golden Dawn Graffiti and hand of a passer-by playing around with a coin, while waiting at the street lights, with dog barking sound (which is taken from my neighbour’s crazy tiny dog, that never has left the apartment and is aggressive because of this) - the barking stops the talking. Sound: Interview in french with two Contemporary Jewellery Designers (Isabelle Busnel and Juan Riusech) cut up in a way where the subject’s boundaries merge into philosophical / political statements. The hopscotch game ends when the DDR medal is finally taken and put into the pocket from the “6” (an up-side down version of the true winning number “9”).